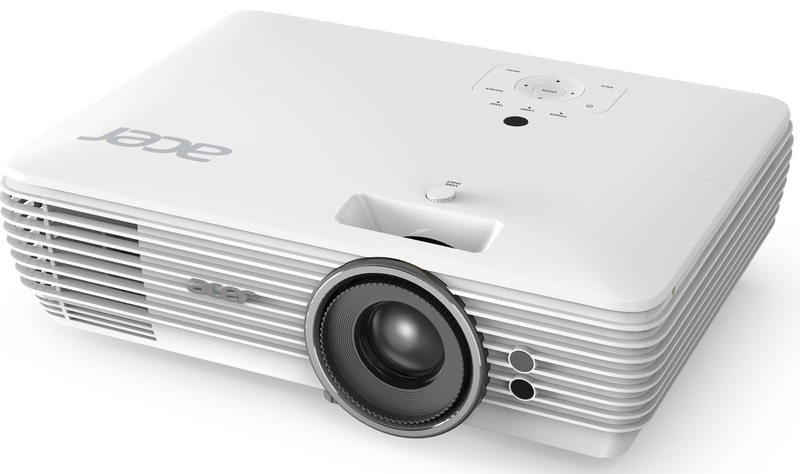 Acer announced a new series of 4K display products at its next@acer global press conference in New York, including the new H7850 and V7850 4K projectors for home cinema enthusiasts as well as the new ProDesigner™ PE320QK 4K LED monitor for creative professionals. The projectors features 4K Ultra High-Definition (UHD) resolution, HDR- and Rec. 2020-compatibility and AcuMotion technology to deliver exceptional value and performance to mainstream audio/video enthusiasts. The new ProDesigner PE320QK monitor incorporates Acer HDR Xpert™ technology for exceptional contrast, supports USB Type-C and features an attractive ZeroFrame design to appeal to design-minded professionals. 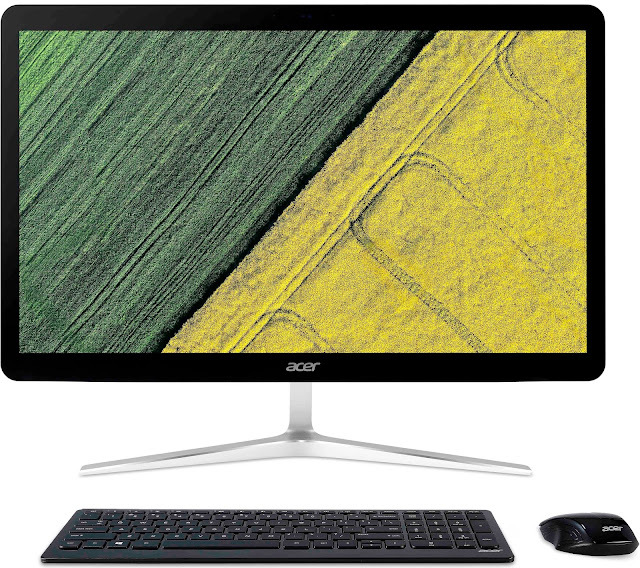 As the Acer H7850 and V7850 project razor-sharp images onto screens of up to 120-inches. Users can experience the stunning image quality that 4K resolution brings, up close and personal. With more than 8.3 million on-screen pixels, both the H7850 and V7850 feature TI XPR technology, which ensures that fine image details come alive. With the prevalence of online video services, premium 4K streaming content is more accessible than ever before. These projectors will allow users to enjoy the ultra-high resolution experience on the big screen without venturing out to the cinema. Both the Acer H7850 and V7850 are HDR-compatible (High Dynamic Range), reproducing a greater dynamic range of luminosity with expanded contrast and a wider range of brightness. The projectors adjust to brighter scenes so the highlights glimmer with detail, while in darker scenes, rich blacks are preserved and details typically hidden in the shadows are enhanced for greater overall luminance. Both projectors provide a DynamicBlack™ contrast ratio up to a whopping 1,000,000:1 thanks to frame-by-frame analysation and dynamic adjustments of lamp power for black-level optimisation. Catering to a wider range of user preferences, the H7850 has a brightness advantage with a 3,000-lumens rating. The V7850 includes a RGBRGB colour wheel which helps produce a wider colour gamut, and supports the Rec. 709 standard to faithfully reproduce original colours and tones, staying true to the film director’s intentions. Both models are compatible with Rec. 2020 signals, the UHDTV standard. The H7850 also features a sleek, elegant industrial design that was honured with a Red Dot Award: Product Design 2017. The H7850 and V7850 projectors also support Acer’s proprietary AcuMotion technology that enhances picture clarity in fast-moving scenes and reduces motion blur. It generates intermediate frames and inserts them between existing ones, which prevents unwanted flickering, making it ideal for watching the big game or action movies. 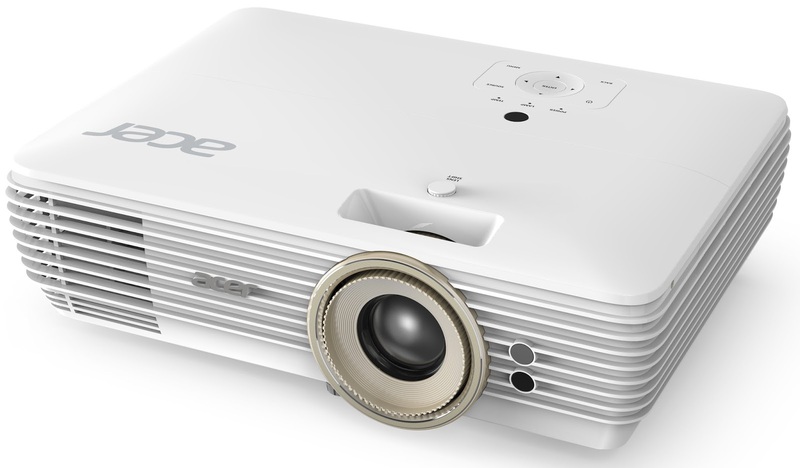 Both projectors include Acer’s ExtremeECO power-saving feature that can reduce power consumption by up to 70% and extend lamp life by up to 15,000 hours. Acer’s new ProDesigner PE320QK monitor features ultra high-definition 4K resolution (3840 x 2160 pixels) for displaying high-quality images in amazing detail. Photographers, video editors and others working in creative industries will appreciate the monitors’ HDR Xpert™ technology, which enhances brightness for a vivid contrast between lights and darks, while covering a wider gamut for truly vibrant colours. 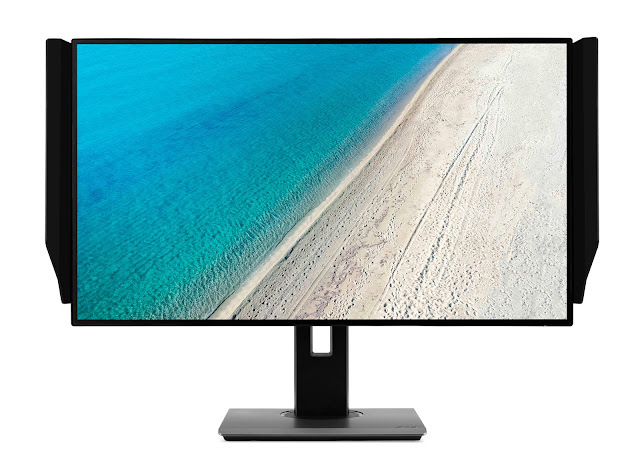 The monitor’s sleek ZeroFrame designs virtually eliminate the screen bezel for a seamless visual experience, adding a new style benefit with a touch of modern charm to the office. It includes a reversible USB-C port for easily connecting and charging devices to reduce desktop clutter, supporting power delivery of up to 85W. The ProDesigner PE320QK monitor produces accurate colours with a low Delta E < 1, supporting 130% of the sRGB and 95% of the DCI-P3 color gamut. The monitors also sport Acer VisionCare technology to reduce eye strain and fatigue during long editing sessions. The H7850 will be available from October 2017 at a RRP of R 39 999 intended for purchase at Incredible Connection and Takealot. The V7850 will be available from October 2017 at a RRP of R 45 999 intended for purchase at Incredible Connection and Takealot. Exact pricing on the PE0 series in not yet available. 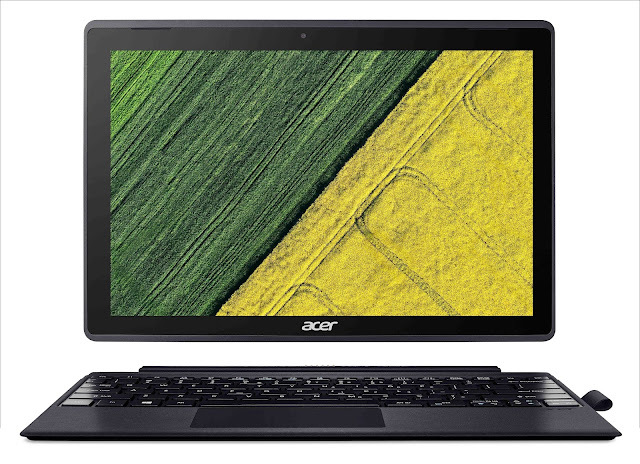 For more information, visit www.acer.com/nextatacer. The Logitech Ultimate Ears Boom 2, wireless Bluetooth speaker has been named as the Audio Gadget of the Year at the annual Stuff Gadget Awards, held in Sandton, Johannesburg. The prestigious accolade was accepted by Head of Marketing, Sub Sahara Africa, Theresa Van As. 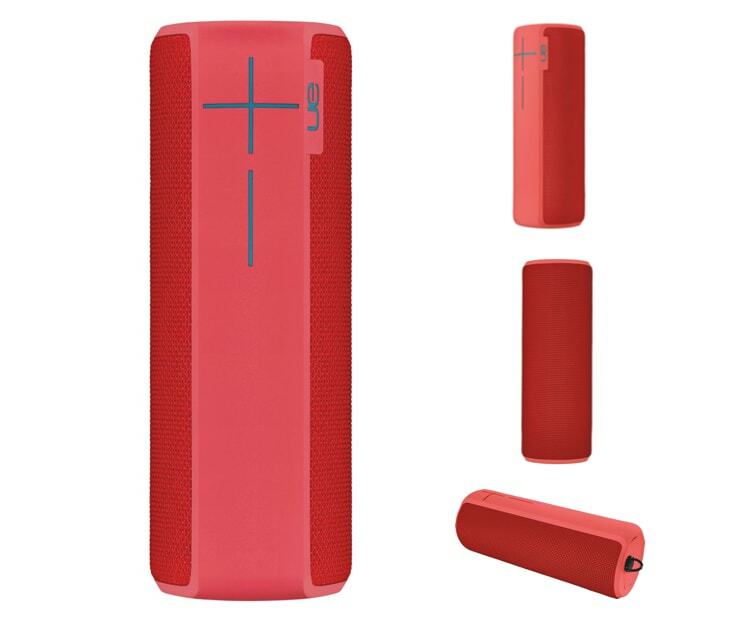 The Ultimate Ears Boom 2 is a 360-degree wireless Bluetooth speaker that blasts loud, insanely great sound with deep, powerful bass and holds a strong battery life of 15 hours. The Ultimate Ears Boom 2 excelled in its category, showing fantastic prowess in sound innovation and design. Stuff Gadget Awards, an annual awards ceremony takes a glimpse at the best technology gadgets brands have to offer. Various technology gadgets such as Smartphones, Compact Cameras, Computers, Smart Home Gadget, TV were nominated in various categories. Logitech designs products that have an everyday place in people's lives, connecting them to the digital experiences they care about. Over 35 years ago, Logitech started connecting people through computers, and now it’s a multi-brand company designing products that bring people together through music, gaming, video and computing. Brands of Logitech include Jaybird, Logitech G and Ultimate Ears. Founded in 1981, and headquartered in Lausanne, Switzerland, Logitech International is a Swiss public company listed on the SIX Swiss Exchange (LOGN) and on the Nasdaq Global Select Market (LOGI). Find Logitech at www.logitech.com, the company blog or @Logitech. Like most industries, both locally and globally, the digital age is challenging traditional business operation methods and forcing people to think about the ‘bigger picture of the future’. In the tech environment, this bigger picture is being metaphorically painted by the birth of ‘digital disruptors’ and the latest trend in tech development, the ‘Internet of Things’ or IOT. The eco-system or environment that is IOT not only focuses on the application usage itself but how this usage becomes a catalyst to fundamental operational and behavioural change. Take Discovery’s Vitality programme as an example – although their innovation is only at the tip of the figurative iceberg, the fact that they are able to use their client’s actual behavioural data to influence their medical premiums is indicative of how the device becomes the vehicle and not necessarily the solution. Collins, continued, “This is a really exciting time for our industry. Not only are we at the coalface of this dynamic shift in the way people do anything and everything, but because of our legacy, we can be part of the evolution – provided we understand what and how the evolution will influence what we do, and we become innovators in the way we drive this evolution forward.” “The days of simply selling a device are numbered – we will have to start thinking about how the entire solution will integrate with the user and the desired habitual change – in a personal and professional environment,” concluded Collins. 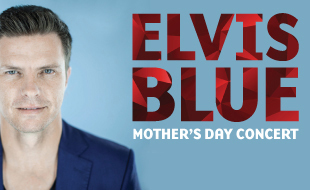 Silverstar will be hosting a special Mother’s Day celebration, with a performance by the charming Elvis Blue. With his unique blend of charisma and authenticity, he will be serenading guests with new music as well as his well-known hits. Elvis Blue shows are always an intimate affair, he shares stories behind his most-loved songs, taking his audience on a personal and entertaining journey. Tickets are on sale for R150 per person, and are available on www.silverstarcasino.co.za. 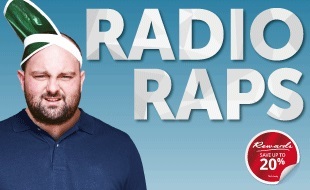 Enjoy a night of hysterics and humour with the YouTube sensation, Jonathan of Radio Raps, with his new one-man show “Dingetjies en Goetertjies”. In this show, Jonathan from the East Rand relates to everyday life, where he is trying to make sense of it all - especially those small and yet irritating things in life. The show will take place on Saturday, 27 May 2017 and is scheduled to start at 20:00. Tickets are on sale at R150 per person, and are available on www.silverstarcasino.co.za. Join Silverstar as they launch the newest addition to their entertainment offering, The Barnyard Theatre. This unique theatre experience provides the perfect night out with live entertainment for couples, families and friends. The Barnyard Theatre officially opens its doors to the public on Tuesday, 16 May 2017, launching with the acclaimed show: One Vision, a Tribute to ABBA and Queen. Tickets are on sale from R130 per person, and are available onwww.silverstarcasino.co.za. Guests will get 50% off any movie, any day, anytime, on any ticket. Silverstar’s Rewards Programme members will enjoy additional discounts (Gold 65%, Platinum 75%, Black 80%) during the promotion. The Challenge: Tsogo Sun’s, first of its kind, gaming promotion is now in full swing with a whopping R5 million up for grabs for one lucky winner. The Challenge is taking place across the three Gauteng casinos – Montecasino, Gold Reef City and Silverstar, until Sunday, 02 July 2017. To take part in this thrilling experience, players are required to earn points by playing Slots or Tables. One lucky winner will get to live out their bucket list. 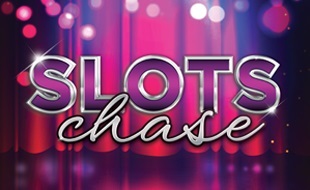 Slots Chase: With a guaranteed first prize of R250 000 and a share of R500k in total, the chase is officially on at Silverstar. With a buy-in of R100, players have a chance until Sunday, 14 May 2017, to take part in the heat rounds. The finals will be held at Gold Reef City on Saturday, 20 May 2017. To take part, players must play Slots at Silverstar Casino to earn points for entries. 12 Hour Car Chase: Three sets of a brand-new Renault are up for grabs in this exciting car chase promotion, starting from Saturday, 29 April to Saturday, 24 June 2017. Every month-end Saturday, for three months, one car valued at R200 000 will be given away. To qualify for entry, players must play Slots or Tables at Silverstar Casino. The 12 Hour Car Chase is exclusive to Silverstar Rewards cardholders. At Acer’s next@acer global press conference in New York, the company debuted its new Predator Helios 300 gaming notebook line. Available with 15.6-inch or 17.3-inch displays, its matte black chassis incorporates tasteful red accents, providing a slightly edgy design. Shipping with Windows 10, it offers powerful features and technologies at mid-range price points, making gaming notebooks more accessible than ever. At the heart of the Predator Helios 300 is an overclockable NVIDIA® GeForce® GTX 1060 or 1050Ti GPU combined with a 7th Gen Intel Core i7 (7700HQ) or i5 processor (7300HQ) for outstanding performance. All of this processing power is supported with up to 16GB of DDR4 memory (upgradable to 32GB), a speedy SATA SSD1 and a 1TB HDD1. An access compartment door on the bottom of the notebooks makes it easy to upgrade memory and storage components. The Predator Helios 300 also includes a USB 3.1 Type-C port, a USB 3.0 port (featuring power-off USB charging), two USB 2.0 ports, and an HDMI 2.0 connection. It connects wirelessly through fast 2x2 802.11ac technology, and also includes a Gigabit Ethernet port for those preferring a hard-wired connection. Designed as an entertainment hub, Predator Helios 300 notebook line is ideally suited for both gaming and movie watching. Bright 15.6-inch or 17.3-inch FHD IPS displays provide vibrant, vivid imagery, while Dolby Audio™ Premium and Acer TrueHarmony™ deliver immersive audio with crisp, rich acoustics. Skype for Business Certification ensures conversations are clear and lag-free while providing a great Cortana with Voice experience. For seamless game play, a dual fan system featuring an AeroBlade™ 3D Fan with ultra-thin metal blades keeps the notebook running at optimal temperatures. Preloaded PredatorSense software provides real time system information and overclocking, so gamers can monitor and control the system’s vitals from one central interface. 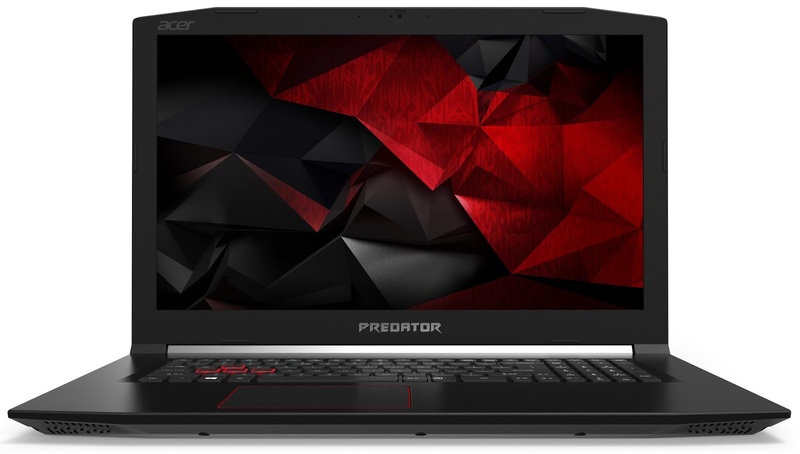 The Predator Helios 300 gaming notebooks with a 15.6-inch and 17.3- inch display will be available in South Africa from R 25 999 later in 2017. For more information, visit www.acer.com/nextatacer. The Barnyard Theatre is proud to announce the launch of its 2 new venues in the renowned Silverstar and Gold Reef City – both members of the prestigious Tsogo Sun Group. The doors will open to the public on 16 May at Silverstar and 7 June at Gold Reef City. The two organisations have excellent synergies and both parties look forward to a long-term, mutually beneficial relationship. These will be the 4th and 5th theatres in Johannesburg for The Barnyard group, joining Cresta Barnyard, Rivonia Barnyard and Emperors Palace Barnyard. The Barnyard Theatre celebrates the 21th anniversary of its founding concept this year. The group has expanded and transformed vastly since its humble beginnings on a dairy farm in Plettenberg Bay, though patrons can look forward to the same interior look and feel that is inherent across all Barnyard Theatres, resembling the original concept of shared enjoyment. The new Barnyard Theatre at Silverstar will have a seating capacity of 360 and 350 at Gold Reef City and both will include an in-house catering division with pizzas, snack baskets, platters, buffet options and more for sale to patrons attending shows. This unique theatre experience provides the perfect night out with live entertainment for couples, families and friends. The Barnyard Theatres are also ideal for birthday parties, fundraising events, corporate functions, client entertainment, day conferencing and more. The Barnyard Theatre’s in-house productions are world class and have toured abroad to Europe, The Middle East and other African countries. More recently Barnyard Theatre artists performed to sell-out audiences at the Madinat theatre in the 5-star Jumeirah Resort, Dubai. 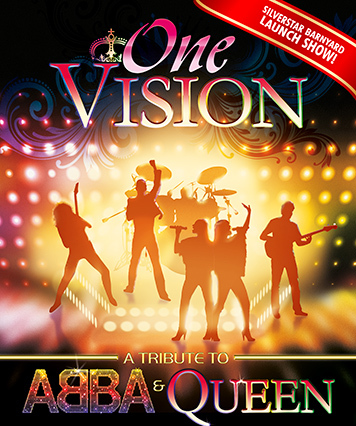 One Vision – our hit show which pays tribute to ABBA & Queen – will be the opening show at Silverstar Barnyard Theatre. The production ONE VISION is a spectacular show featuring all your favourite hits - combining pop and rock riffs, surreal vocal harmonies, catchy melodies and flamboyant, theatrical performances. One Vision will be performed from 16 to 28 May 2017. This show will run Tuesdays to Saturdays at 20:00 (doors open at 18:30) and Sundays at 14:30 (doors open at 12:30). The Barnyard Theatre group is extremely excited about this new venture, and will soon be entertaining guests at their magnificent new home on the West Rand – Silverstar! 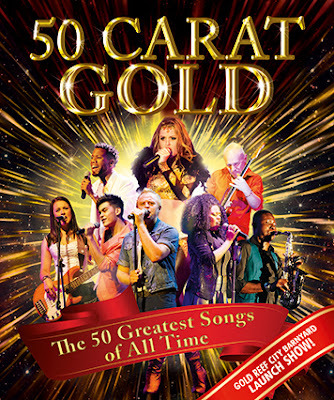 50 Carat Gold – will be the opening show at Gold Reef City Barnyard Theatre. 50 Carat Gold covers every important song that made an impact on our lives with timeless rocking hits that topped the charts over the past 60 years. 50 Carat Gold will be performed from 7 June to 9 July 2017. PLUS on Sundays: *Kids under 12 years FREE (2 children per adult) and Pensioners HALF PRICE (telephonic bookings only) Bookings is live at www.barnyardtheatres.co.za/goldreefcity. The Barnyard Theatre group is extremely excited about this new venture, and will soon be entertaining guests at their magnificent new home in the South – Gold Reef City! From its humble beginnings on a Garden Route dairy farm to international hit shows, The Barnyard Theatre is a home-grown legend …In 1996 the first Barnyard Theatre was opened by the Möller family on their dairy farm just outside Plettenberg Bay. Louis (Möller) and Sybel (Coetzee) had both been involved in the performing arts most of their lives, Louis as co-founder and producer of, amongst others, the long-running programme Carte Blanche, and Sybel Coetzee as a freelance actress and TV presenter. In 2003 Louis joined forces with well-known South African musician Duck Chowles and together they formed The Barnyard Theatre Production Company. Duck Chowles now produces and directs all Barnyard Theatre stage creations. Barnyard music shows transcend boundaries – they’re vibrant, uplifting and highly entertaining. The Barnyard Theatre believes in growing and supporting local talent. For any further information please contact Kim Vermaak at The Barnyard Theatre Group: kim@barnyardtheatres.co.za or 087 236 3088. 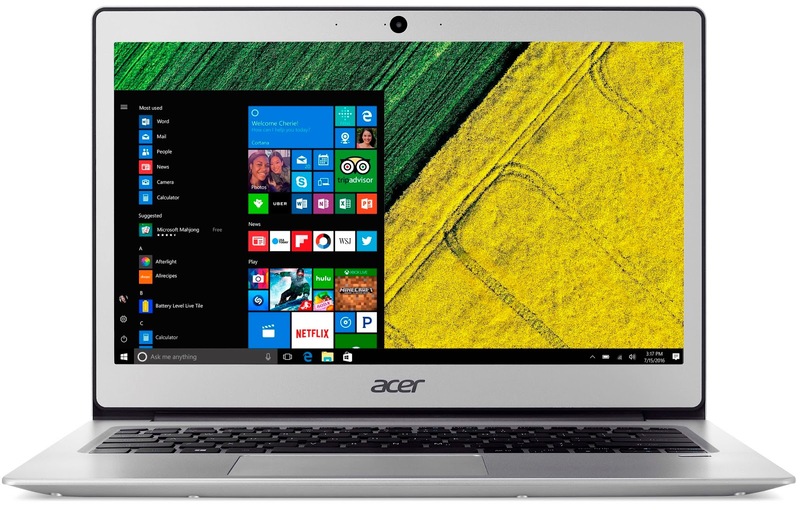 Acer announced two new additions to its Swift series notebook line up, the Acer Swift 3 and Swift 1, both featuring Windows 10. The Acer Swift 3 is a sleek and portable device with great performance that’s ideal for getting things done on the road and everywhere else. Meanwhile the ultraslim Acer Swift 1 offers users essential features for productivity in the office or classroom and a beautiful design, all without breaking the bank. Measuring in at 0.71 inches (17.95 mm) in height and weighing 3.9 pounds (1.8 kg), the Swift 3’s svelte and lightweight design features a sturdy brushed-aluminium body that offers a robust feel and beautiful tactile touch. 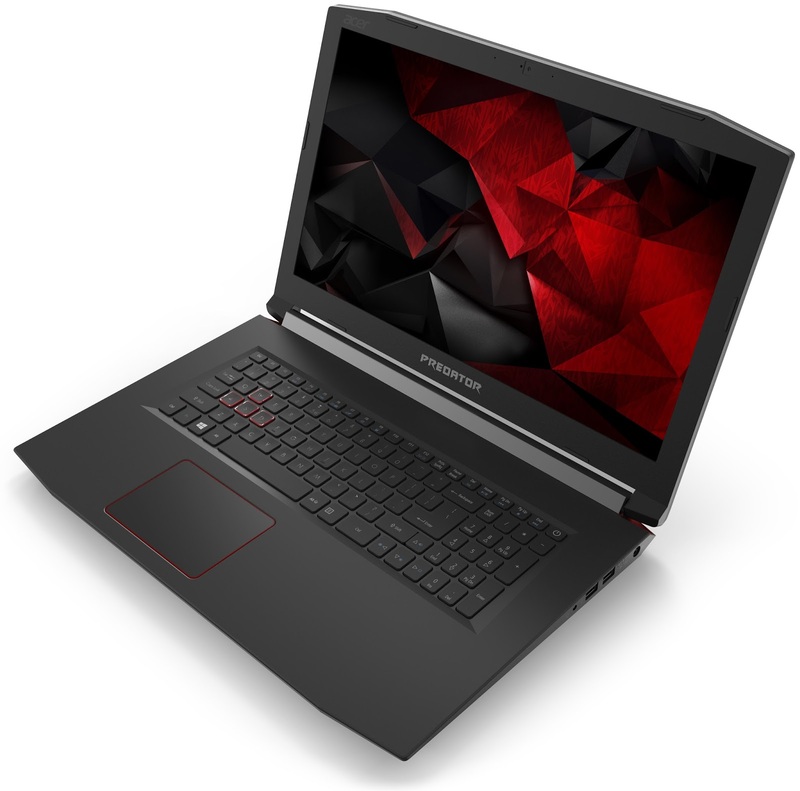 It features 7th Generation Intel® Core™ processors, Intel®HD or NVIDIA® GeForce® graphics, and offers up to 10 hours of battery life to help users power through a full day of work and beyond. 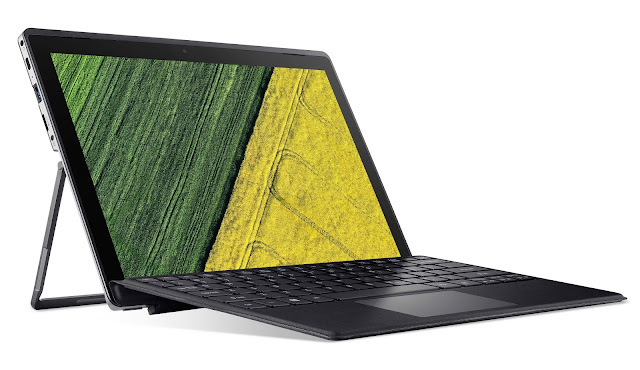 In addition to its battery life, Swift 3 sports a collection of other indispensable features for achieving maximum productivity, including vivid 14-inch or 15.6-inch Full HD IPS anti-glare displays, fast 512GB SSDs or spacious 1TB HDDs, up to 8GB of memory and 2x2 MIMO 802.11ac wireless technology for fast and reliable internet connectivity. 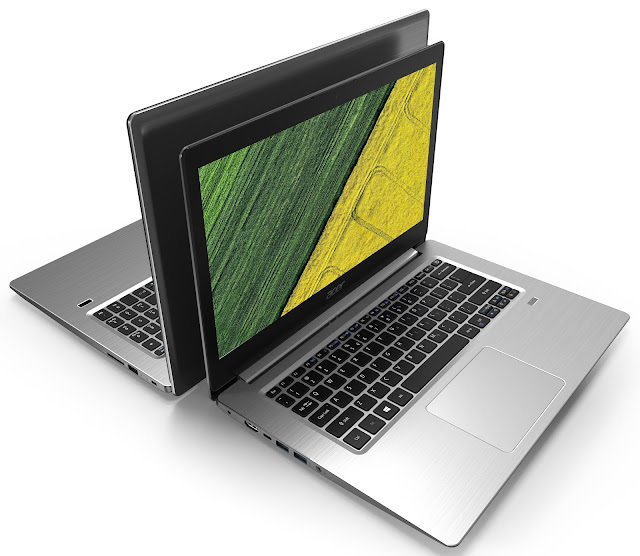 Additional must-have features include a USB 3.1 Type-C port and an HD webcam with Super High Dynamic Range. Lastly, the optional backlit keyboard makes typing in dimly lit environment effortless and a spacious Precision Touchpad provides ample room for navigating, scrolling and zooming. A special edition of the Swift 3 is available with a top cover with Vibrant Corning® Gorilla® Glass, providing the flexibility to design the top cover with photo realistic images that are highly durable and scratch-resistant. Lightweight and priced right for a student or others on a budget, the Swift 1 is highly portable and includes essential features for productivity anywhere, making them great value. Measuring in at 0.7 inches (14.95 mm) in height and weighing 2.87 pounds (1.3 kg), the Swift 1’s all-metal chassis is available in three colours (Pure Silver, Luxury Gold, and Salmon Pink). With up to 10 hours1 of battery life, the Swift 1 is a reliable notebook, with a few extra hours to spare for late night studying or web-surfing. The Swift 1 features a 13.3-inch Full HD IPS1 display, an Intel®Pentium® or Celeron® processor, 4GB of memory and either 64GB, 128GB, or 256GB of SSD or eMMC storage. Like the Swift 3, the Swift 1 also includes ultra-fast 2x2 MIMO 802.11ac wireless technology, providing seamless connectivity. Both of the notebooks support Windows Hello through fingerprint readers for fast and secure logins, while Skype for Business certification ensures crisp and lag-free communication and a great Cortana with Voice experience. They also feature Acer BluelightShield™, an application that allows users to control how much blue light is emitted for reducing eye strain, and Acer TrueHarmony™, which delivers bolder, more lifelike audio for a richer and immersive media enjoyment experience. 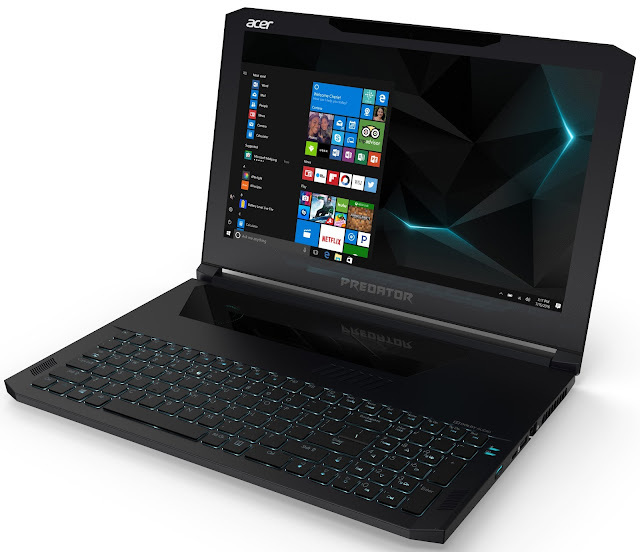 For more information, visit www.acer.com/nextatacer. The Swift 3 series will be available in South Africa from July, at an RRP of R 11 999. The Swift 1 series will be available in South Africa from July at an RRP of R 6 999. Everyone has experienced that moment of panic when you realize you forgot a personal item on a plane, bus, train, taxi and in many cases, your Uber. To acknowledge Uber’s most forgetful riders, and to prepare for Mercury falling into Retrograde in just over a week, we’ve created The Uber Lost & Found Index. 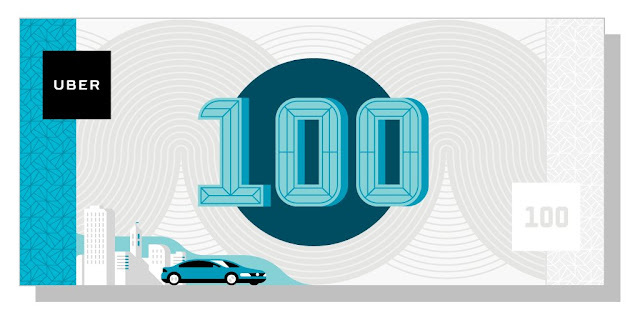 The Uber Lost & Found Index is a snapshot of our riders’ most commonly forgotten items, - from keys to chargers to wallets - and the most surprising items left behind. It also highlights which areas are most likely to forgetfulness, and which days of the week Uber riders tend to be most forgetful. We found that phones and rings are the two most commonly forgotten items, with chargers and sunglasses rounding out the top 10. Riders have also left everything from licences and potted plants, to pool sticks and kites. Our riders never cease to amaze us! Coming in at the top list of the most forgetful cities in South Africa, Ghana and Nigeria is Cape Town. And which day of the week do Uber riders tend to be most forgetful? We see the most reports on Sundays, presumably from items lost the night before. The full results are below. Take a look. On Sundays, we see the biggest spike in lost mobile phones. On Mondays, we see the biggest spike in lost skateboards. On Tuesdays, we see the biggest spike in lost swimsuits. On Wednesdays, we see the biggest spike in lost notebooks. On Thursdays, we see the biggest spike in lost suitcases. On Fridays, we see the biggest spike in lost briefcases. On Saturdays, we see the biggest spike in lost plane tickets. The Luxor African Film Festival took place in the historic Old and New Kingdoms of Ancient Egypt, between 16 and 22 March. Despite the stiff competition from both the Arab-speaking countries as well as the African Diaspora, KALUSHI walked off with the Best Film Award at the Festival. The award was presented to the director of KALUSHI, Mandla Dube, by the Egyptian Minister of Arts and Culture. According to one of the jurors, South African filmmaker Nchavheni Wa Luruli, it was the ideal film to win the award based on the festival's theme of International Freedom. On April 6th the film travels to the British Film Institute to commemorate Solomon Mahlangu's execution anniversary, where the cast as well as the South African High Commissioner to Great Britain will be present. Next for KALUSHI is a screening at the New York African Film Festival which will be hosted at the Lincoln Centre. KALUSHI is currently screening at cinemas in South Africa. 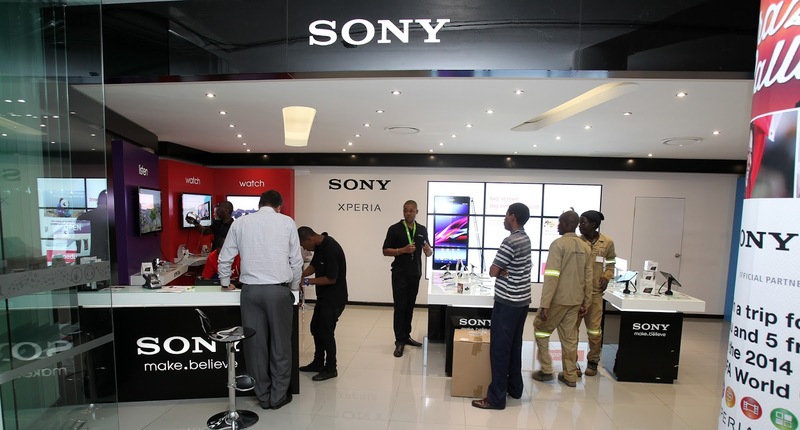 Sony Mobile together with Vodacom World is excited to announce the re-opening of the new and improved Sony Mobile Store at Vodacom World Mall in Midrand, Johannesburg. Customers can now look forward to new offerings and great customer experience. The store will not only stock the latest Sony Mobile devices but will also stock the latest accessories including phone covers and screen protectors to make sure your phone is well-kept and looked after. More importantly though customers will also now be afforded the opportunity to have Software repairs done while you wait at the first and only exclusive Xperia Care Centre situated in the store. Should your handset require more than a Software Upgrade, there will be the normal turnaround time of 3 days. We have also launched a great new trade-In initiative in-store, which allows you the opportunity to trade-in your old and used Sony Mobile device for great discounts on your next Sony smart accessory or Xperia device purchase which means you will keep up to date with the latest and greatest Sony technology. For example, trade in your 2-year-old Xperia Z5 and get up to R 2500.00 off the purchase of the awesome Xperia XZ. There is no limit to the number of devices you can trade in, so you can bring in all your used devices, get great value and have the peace of mind that all the old devices are recycled in a responsible and environmentally friendly manner. What’s more is that customers can also now come and experience the Sony PlayStation VR system in the store, which is designed to be fully functional with the PlayStation 4 home video game console and can output a picture to both the PlayStation VR headset and television simultaneously, with the television either mirroring the picture displayed on the headset, or displaying a separate image for competitive or cooperative gameplay. Customers can try their hand at either Battle Zone or the VR Roller Coaster. Head to Vodacom World in April and take advantage of some great deals, upgrade to a Xperia XZ for R449.00 per month and receive a set of Sony XB Headphones or the XA Ultra for R299.00 per month or get the Xperia XA for R199.00 per month and receive a Bluetooth water bottle. 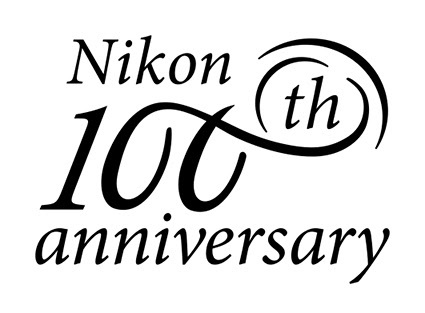 Nikon will celebrate the 100th anniversary of its establishment on July 25th of this year, as proudly announced by Nikon in South Africa. Since its establishment as Nippon Kogaku K.K. in 1917, Nikon has provided the world with unique value based on its opto-electronics and precision technologies. Nikon Team said, "We at Nikon sincerely thank everyone, from our loyal customers to anyone with a stake in our success, for the support in the development of our company over its 100-year history. 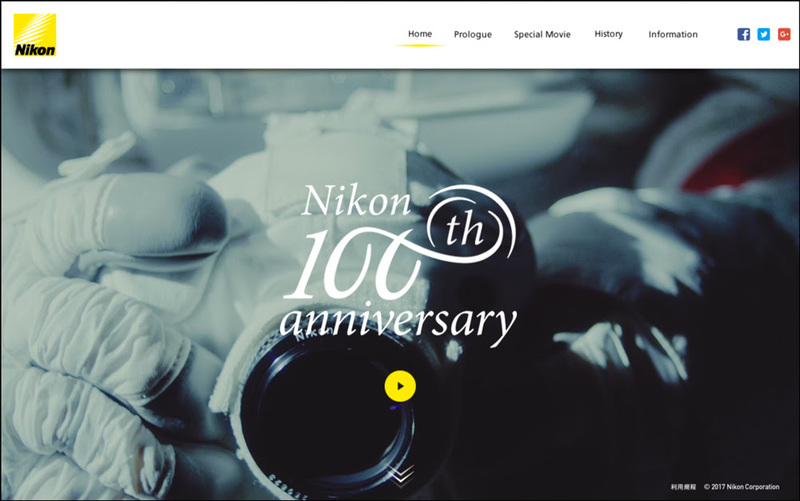 As part of our 100th anniversary celebrations, we have established the Nikon 100th Anniversary logo and to introduce a special Nikon 100th website". NIKKOR (http://www.nikkor.com) is Nikon's brand of photographic lenses. The NIKKOR name arose from adding "r", a common practice in the naming of photographic lenses at the time the name was established, to "Nikko", the Romanized abbreviation for Nippon Kogaku K.K., the original name used when the company was established. In July 2016, Nikon announced its milestone achievement of 100 million in total production of NIKKOR lenses for Nikon interchangeable lens cameras. Being a dreamer to hold one of the Nikon's camera, I bought my D7000 with 18-105mm lens way back in 2013 and never looked back. A lot of the photos taken by me are posted on my instagram.com/araijain channel and twitter channel too. 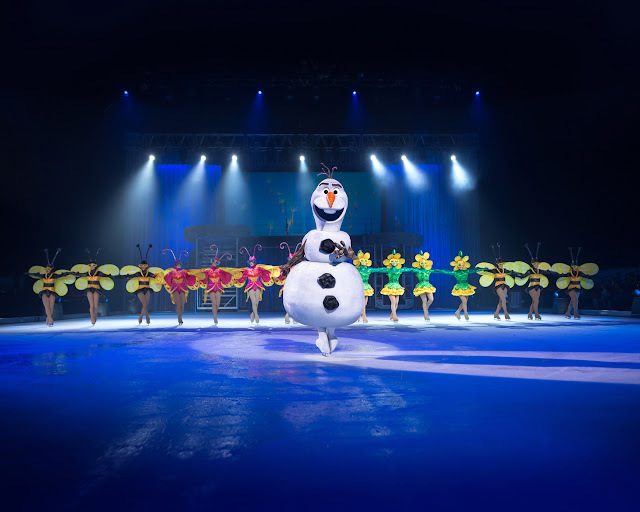 Disney On Ice soon returns to South Africa with The Wonderful World of Disney On Ice! Families are invited to celebrate magic, spirit, and fun as an extraordinary lineup of Disney stories come to life in Johannesburg, Cape Town and, for the very first time, Durban! 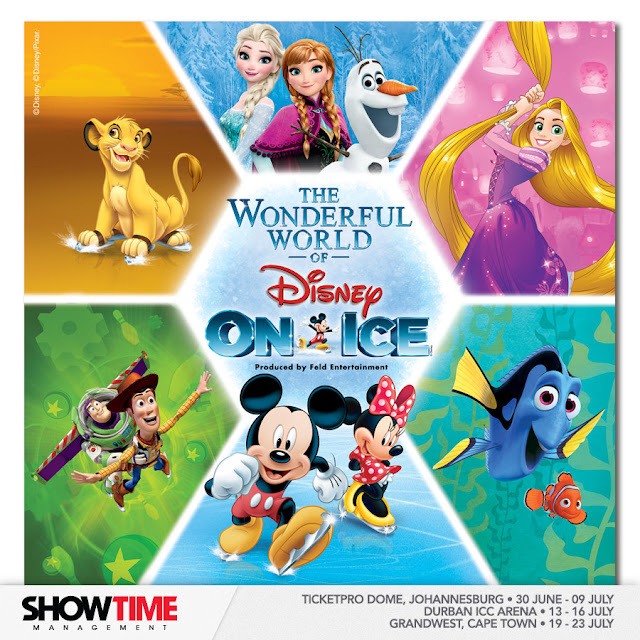 Presented by Feld Entertainment Inc and leading local promoter, Showtime Management, The Wonderful World of Disney On Ice opens on Friday, 30 June 2017 at the Ticketpro Dome, Johannesburg and runs until Sunday, 09 July 2017. The production then moves to Durban’s ICC from Thursday, 13 July to Sunday, 16 July and then to GrandWest, Cape Town from Wednesday, 19 July to Sunday, 23 July 2017. Tickets on sale at Computicket. The Wonderful World of Disney On Ice offers families a special discounted saving of R30 per ticket valid for bookings of four, five and six tickets in specific priced ticket categories across all shows so that families can enjoy incredible savings of R120 on a purchase of four tickets, R150 on five tickets and R180 on six tickets. Family packages at the Ticketpro Dome are discounted on the R275 and R375 weekend price categories and weekend discounts are valid on tickets in the R375 and R475 categories. Durban families enjoy the added benefit of a R30 discount per ticket across three price categories, valid on R250, R350 and R400 weekday price categories while weekend discounts are available across the R300, R400 and R450 price categories. Cape Town families can enjoy family packages at GrandWest available weekdays on the R200 and R300 price categories while weekend tickets are valid on the R250 and R350 categories. Showtime Management and Feld Entertainment invite families to enjoy an extraordinary family winter school holiday outing at The Wonderful World of Disney On Ice where Dory, Nemo and Marlin from Disney•Pixar’s Finding Dory are joined by Anna and Elsa and the hilarious snowman Olaf from Disney’s Frozen together with Disney princesses Rapunzel and Snow White who create their own happily ever after. There’s also Buzz and Woody as well as Simba, Timon and Pumbaa together with everyone’s all-time favourite Disney characters Mickey Mouse, Minnie Mouse, Donald, Goofy and the gang. Wrap up warm to enjoy this heart-warming experience Kiddies are allowed to bring small cushions to place on the seat. We regret car seats are not permitted in the auditorium. Patrons are asked to please note that owing to safety regulations each person, irrespective of age must have a purchased ticket. Babes in arms and children under two years sitting on parents lap require a purchased a R50 babes in arms ticket and children two years and older must have a purchased seat ticket.